Need gifts for your friends and co-workers that look expensive without actually being expensive? 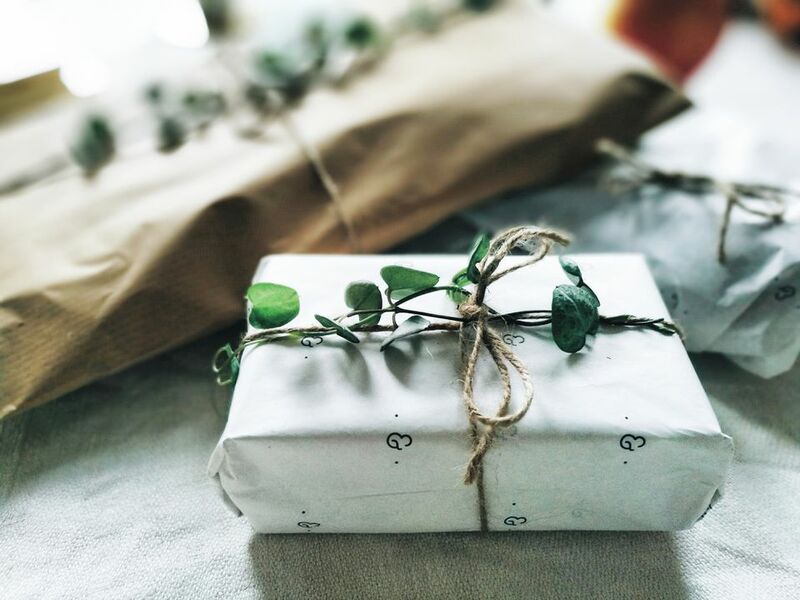 Here are 25 Christmas gift ideas that cost less than $25. Some of these gifts cost much less, but don't worry—we won't tell. Keeping all of your cords and chargers organized when you're travelling—or even just travelling back and forth to work—can be a major challenge. Help someone on your gift list win the battle by giving them a travel cord roll. 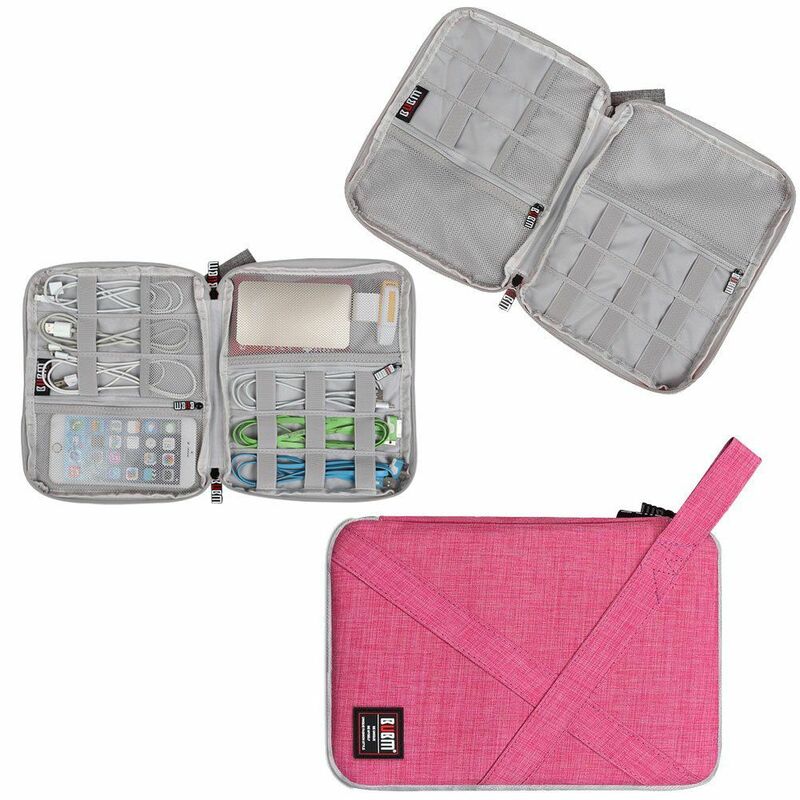 It has elastic bands and pockets to keep all that electronic mayhem in check. There's nothing like a long soak after an even longer day. Treat someone on your gift list to this simple luxury by gifting an assortment of bath bombs (they're also so easy to DIY!). Know someone who's obsessed with essential oils? Give them a USB diffuser, so they can enjoy their oils in the car or at the office. Nylon hammocks are small enough to keep in your bag or the trunk of your car for impromptu trips to the park, and they're affordable, too. Surprise the nature lover on your list with one. These days, everyone is trying to kick the plastic straw habit, so a set of stainless steel straws is a can't-miss gift for just about anyone. Treat the travel enthusiasts and hikers in your life to a collapsible silicone water bottle. They stand up and hold their shape when they're full, but roll up into a fist-size ball when empty, so they don't take up much space in a bag. Surprise a friend or co-worker with a collection of face masks. It's the perfect excuse to relax and unwind. Giving someone a set of LED string lights or fairy lights is like giving them a year-round party. String lights have gained serious popularity over the years as year-round decor. A new kitchen towel is the perfect combination of pretty and practical. Make it a tea towel calendar, and it can also take the place of a wall calendar. If you're handy with needles, go the extra mile and make your towel gift. Most would say wasted wine is a crime. Give someone a wine bottle stopper to keep open bottles fresh until the last drop. Pick out a nice set of luggage tags for your favorite jetsetter—something that will really stand out at baggage claim—so they can get to their final destination faster. Make it easy for people to take their music on the go by giving the gift of a mini Bluetooth speaker. It's small enough to tuck in a bag or pocket, and way more fun (and sanitary) than trying to share a set of earbuds with a friend. Have a friend that loves to take pictures? Spoil them with a cell phone lens kit. It'll allow them to do wide-angle shots, macro shots and all sorts of special effects, without lugging a big camera around. Singing in the shower is a lot more fun with back up tunes. Pick up a water-proof Blue Tooth shower speaker for someone on your gift list. Having to find your phone charger every time you need to charge your phone is a major pain—so is having cords covering every surface of your house. Solve both problems for someone you love, by buying them a wireless phone charger. Just drop your phone on the charger, and it'll take care of the rest. No cord required. Speed up dinner prep for someone on your gift list by giving them a defrosting tray. It thaws frozen meat in minutes, so it's no big deal if you forget to pull meat from the freezer before you go to work. Our cellphones go everywhere we go, and they pick up all sorts of germs and ick along the way. Give someone a UV cellphone sterilizer, so they'll have a quick and easy way to clean their phone. It can also be used to sanitize watches, jewelry, credit cards, and other frequent-use items. Know someone who suffers from dry winter skin or sinus headaches? Give them a portable car humidifier to help counteract the effects of running the heat full blast. Please the health nuts on your list with an infused water bottle. They make it easy to take infused water on the go, and they're pretty enough to double as a fashion accessory. Not sure what to give the handyperson or crafter in your life? A magnetic wristband is sure to be appreciated. It can be used to hold screws, sewing pins, and small tools while they work, so everything stays within reach. It's almost as good as having a third hand. Almost. Need a good gift for a backpacker, hunter, or world travel? Get them a Life Straw. It filters harmful bacteria and parasites from water as you drink, so you can safely consume contaminated water without worry. Hit up a farmer's market or a gourmet grocery store for jars of local honey, jams, jellies, and fruit preserves. Then, give one to each person on your gift list. This gift is sure to be appreciated, and won't create any clutter. Make sure your friends and family have a way to charge their phones on the go, by giving each of them a phone charger keychain. One popular design cleverly hides the charger inside a leather tassel, so it looks good, too. Know someone who loves to cook? Give them a tablet stand, so they'll have a handy resting place for their tablet (or a cookbook), as they work through the steps in a recipe. Treat a frequent traveler to a pint-sized travel steamer. It'll allow them to get the wrinkles out of their clothes, without ever picking up an iron.